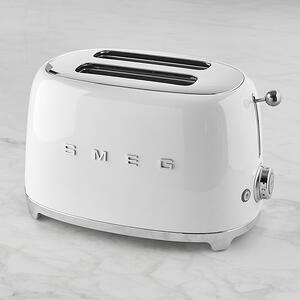 The 50's style is coming back in an updated and highly efficient way with the Smeg's Retro Line. This beautiful classic design that embodies the glamour and rounded forms of the 1950’s is available in a variety of sizes and colors. The larger models are perfect for smaller kitchens and apartments. 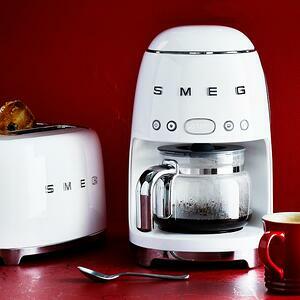 Smaller Smegs are suited for man caves, home offices, and dorms. 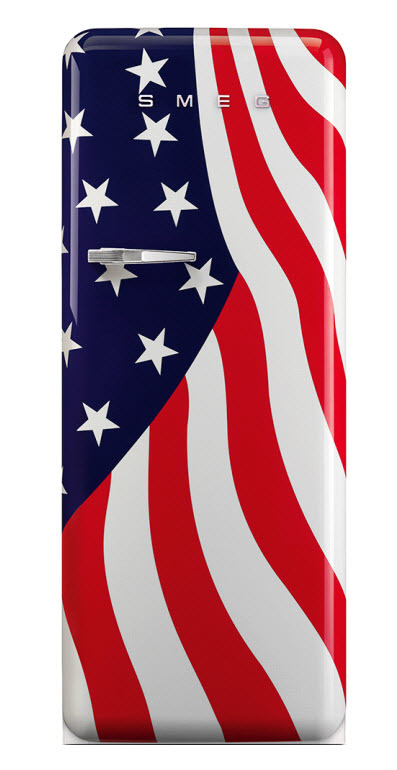 The Smeg refrigerators color choices include a few flag patterns (the Italian flag, the United States flag, and the Union Jack). Neutrals like black, white, silver, and cream are all options, as well as a rainbow of colors; red, orange, yellow, lime green, pastel green, pastel blue, blue, and pink are all available. 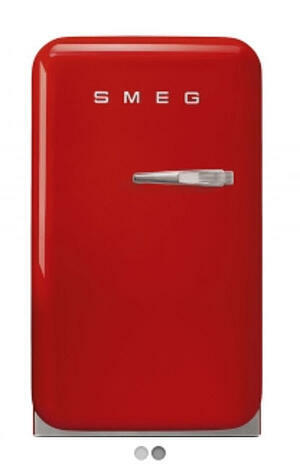 Smeg Fridges are just as efficient if not better than most when it comes to their A++ energy rating. The company’s tagline is “technology with style,” and they no doubt live up to it. 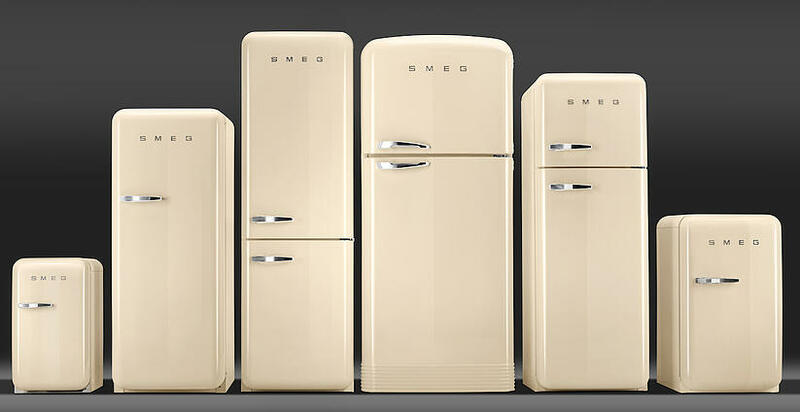 Smeg's Retro line has a few key characteristics that separate these fridges from even some of their modern design counterparts. The FAB50 is a dual door design Fridge/Freezer combo. The freezer has a modern interior layout with a "No-Frostair circulation system" that helps keep food fresh and mold-free while also avoiding lengthy defrosting times. The fridge features a top-of-the-line refrigeration system and long life LEDS that helps keep maintenance costs down. The fridge includes what Smeg calls a "Fresh Zone". This drawer is specifically designed to keep your fresh foods just that, fresh. 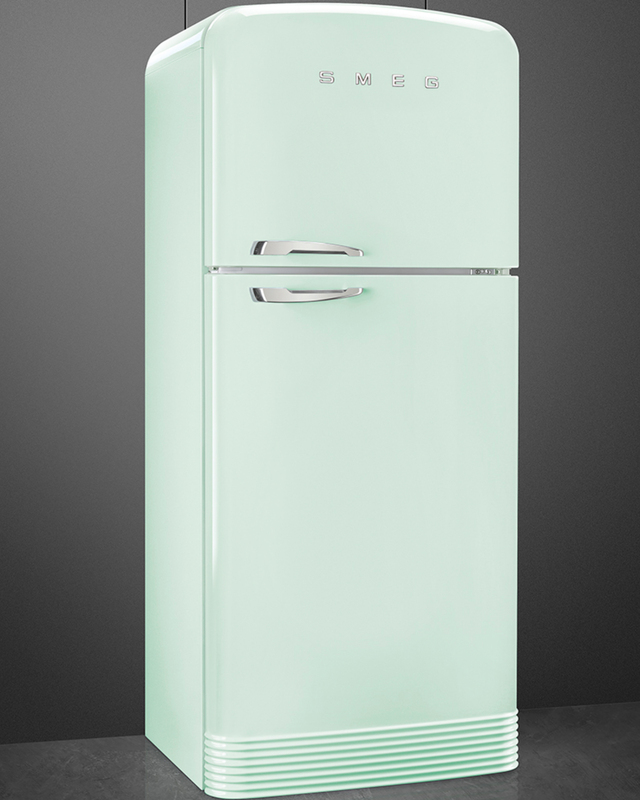 There's also a one door refrigerator model, the Fab 28. Just under 5-feet tall, the Fab28 features a simple interior — with a built-in metal wine rack — and a drawer-size freezer compartment. While eye catching, this refrigerator doesn't work for everyone. It's well suited to singles, couples, and people who do a daily shop. Riccardo Pearlman, owner of Newbury Kitchens and Bath, comments that “People (in Europe) do their day-to-day shopping with two bags that they then carry home. In the US, we tend to load the car up. As Americans, we roll with large refrigerators, like creatures of comfort who want that big sofa.” So as part of thinking smaller, this refrigerator might inspire a change in our Costco shopping habits. 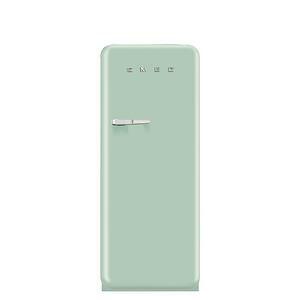 Great for the office or a dorm, the Smeg minfrig is just so cute! But, if your kitchen or lifestyle doesn't accommodate one of these refrigerators, perhaps one of Smeg's smaller appliances can grace your counters. They have those graceful curves and are pleasing to look at and use. 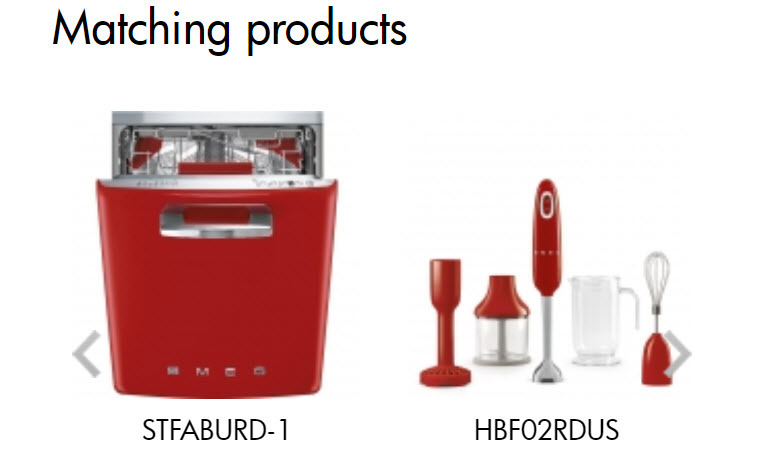 You can see them at Albanos Appliance. 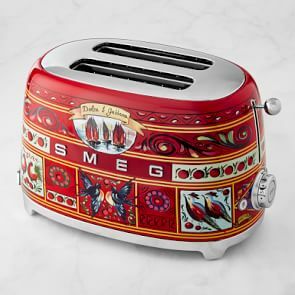 The solid color small appliances are reasonably priced, but the special decorative ones get pricey. They are all conversation starters!